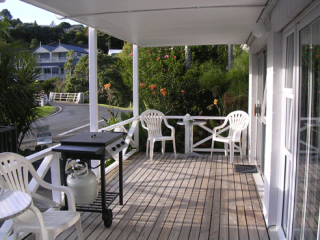 14 well appointed units, each with it’s own verandah/balcony facing out over the water of Mill Bay*, only 5 minutes walk from the historic village of Mangonui. 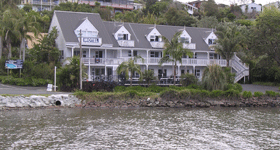 Acacia Lodge Motel is set in a lovely location on the waters edge in the Mangonui Harbour and offers studio and 2-bedroom family units. 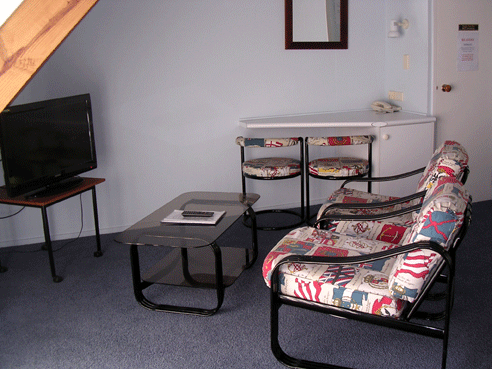 verandahs/covered patios, bathrooms (some with baths/spa baths), kitchens, Sky TV, wireless internet access and phone. 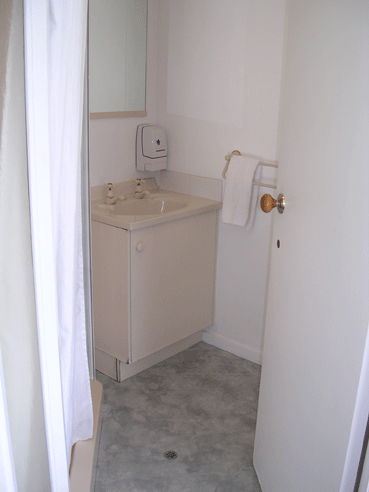 Some units are wheelchair accessible. 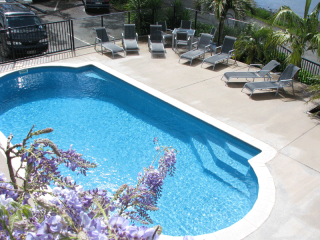 Also provided are our heated salt-water swimming pool and sun-loungers overlooking Mill Bay, BBQs, on-site parking and laundry service. Groups are welcome. 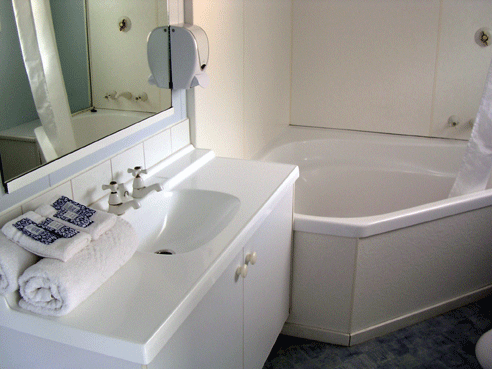 “Corporate Rates” are available for our frequent guests staying mid-week. Fabulous units on the top floor with super king size beds and bathrooms with large corner baths to soak in (some with spa jets) with shower over. The kitchenette has cooking hobs microwave etc and there is your own balcony with table and chairs to sit and enjoy the views over Mill Bay and out to the Mangonui Harbour. These lovely units offer a covered deck with seating to enjoy the views over Mill Bay and the pool*. There is a queen size bed and bathroom with shower. 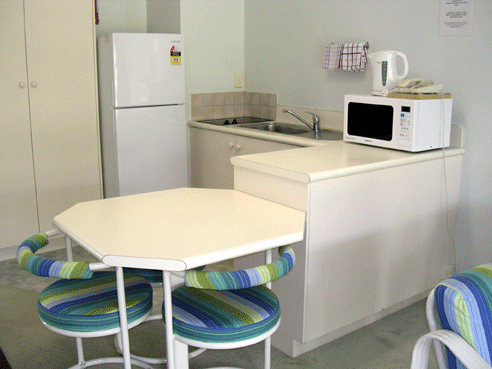 Some with full kitchen facilities and others with fridge, microwave etc. 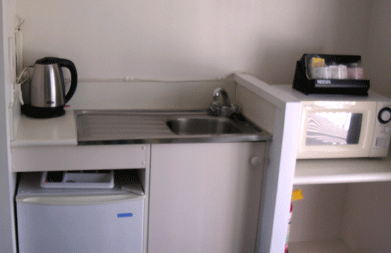 *Please note that the “Studio Unit (no water views)” does not include views of the water or pool. 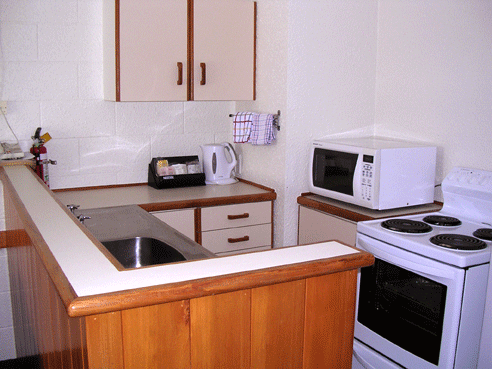 Enjoy the luxury of space in these large units all overlooking Mill Bay. 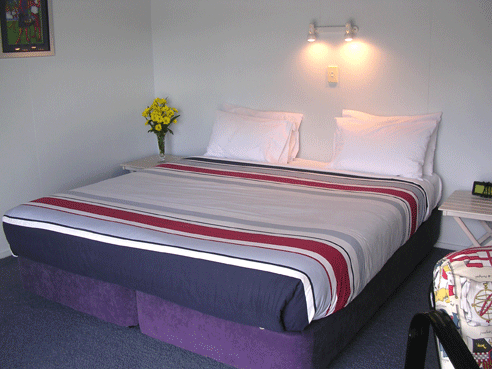 Queen (and an single bed for the 5 person unit) in one bedroom and 2 singles in the other. 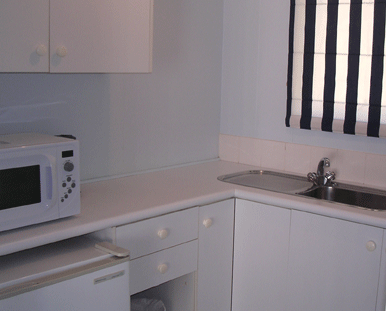 There is a full kitchen and a bathroom with shower. The size of this unit is perfect for a family or group. 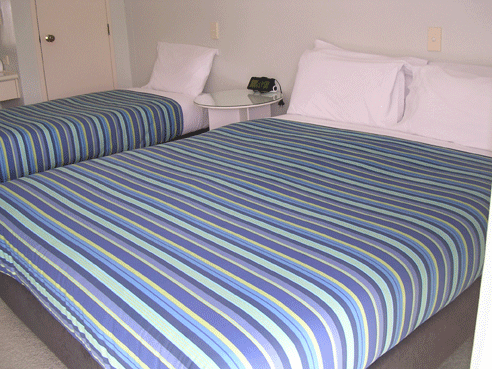 Failure to notify a cancellation within this period will result in a penalty charge of one nights accommodation tariff. 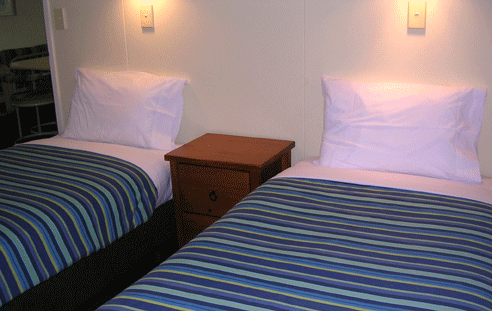 A deposit of one nights stay is required to confirm all bookings. This can be done by Visa/MasterCard/Cheque or Direct to Bank Account. Any reduction in the number of guests will not be refunded, and full payment for those people may be required. Please ensure you check the dates of your booking carefully on your booking confirmation. Our Tariff/Prices are reviewed yearly for the new season starting June/July each year, please be aware prices may change when booking in advance from one season to the next and the new rates will apply.